A clean fuel system can provide increased engine performance and improved fuel economy, which not only saves you money at the gas pump, but also extends the life of your vehicle! If your vehicle shows symptoms of a dirty fuel system, such as stalling, hesitation, reduced fuel economy, or decreased performance, simply stop into one of our many locations to have our expert technicians take a quick look for you! 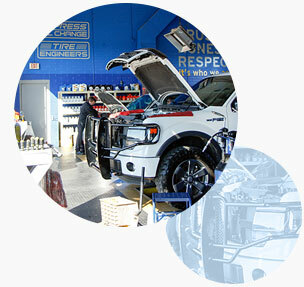 It's our mission to provide each customer the assurance their car is well-maintained by providing the highest quality automotive services, delivered quickly and conveniently in a superior environment by a friendly, professional staff that emphasizes integrity in every action. So, if a fuel system cleaning isn’t needed at the moment, we will not recommend you get one. It’s that simple! We’re always more than happy to advise you when it comes to maintaining your vehicle and the services we perform. Our ASE-certified technicians are here to help extend the life of your vehicle, and get you back on the road quickly and safely! What are the symptoms of a dirty fuel system? Why should you get a Fuel System Cleaning? Deposits building in the combustion chamber and intake valves can alter the engine’s compression ratio, causing your engine to knock, run-on, and be hard to start. Stalling, hesitation, and loss of power are the most common symptoms with fuel injector deposits, which can interrupt the delivery of fuel and disrupt the spray pattern.